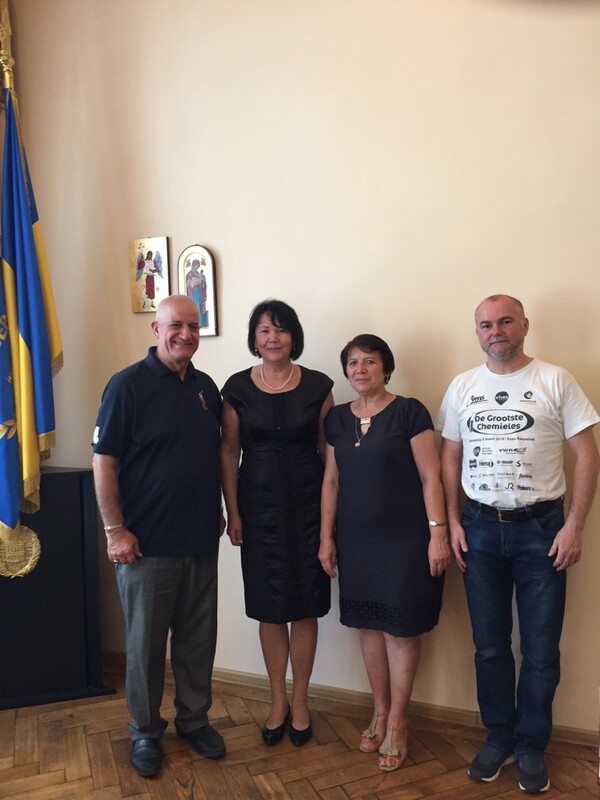 On July 10, 2017 there was a working meeting of Professor Rovshan Khalilov (Institute of Radiation Problems, NAS of Azerbaijan) with the Rector of Ivan Franko State Pedagogical University in Drohobych Professor Nadia Skotna. The meeting was attended by the Dean of the Department of Biology and Natural Sciences Svitlana Voloshanska the faculty and the Ukrainian director of the Joint Ukrainian-Azerbaijani international scientific and educational center of nanobiotechnologies and functional nanosystems Associate Professor Taras Kavetsky. Professor Rovshan Khalilov informed about the achievements of this structure in the academic year 2016/2017, mentioning the joint publication of scientific papers in journals with high impact factor, in particular, Artificial Cells, Nanomedicine and Biotechnology (2016 Impact Factor: 5.605) in collaboration with Iranian scientists and namely, the scientific consultant of the center – Dr. Abofazl Akbar-zade and his team. In connection with the development of the center the composition of its scientific council was discussed, involving the worldwide renowned experts and scientists working in the field of nanobiotechnology and functional nanosystems. The participants of the meeting discussed the prospects of cooperation for 2017 – 2020, stating that the main effort will focus on conducting joint research and publications in scientific journals and the formation of grant projects, within the contest organized by the Ministry of Science and Education of Ukraine. Finally the rector Professor Nadia Skotna noted that for the development of leading higher educational institutions of Ukraine domestic and foreign scientists shall be involved in these centers, especially those with a worldwide reputation, because it will contribute to a fruitful and mutually beneficial cooperation.